How can we help the elderly live longer at home? 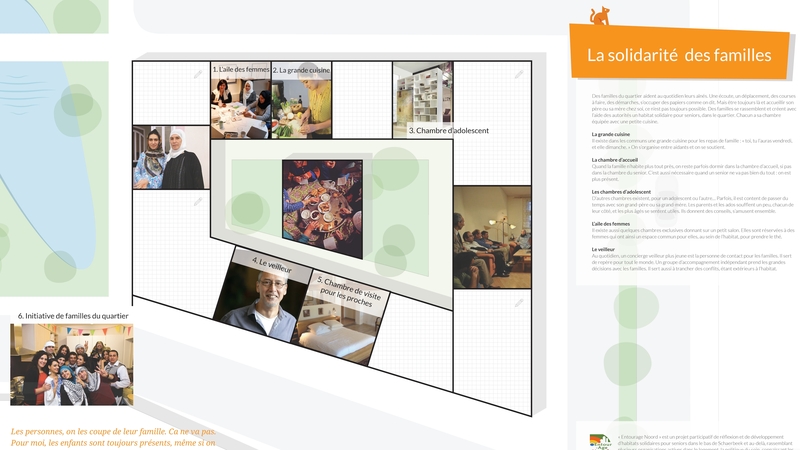 Namahn guided EVA vzw, a Brussels based social development organization, use service design methodology to explore new lifestyles for senior citizens which allow them to live autonomously for longer. In migrant communities, the elderly traditionally live with their children. However, the rise of dual income households is making “living-in” increasingly difficult for many. Other than nursing homes, however, Brussels currently offers few alternative housing solutions. 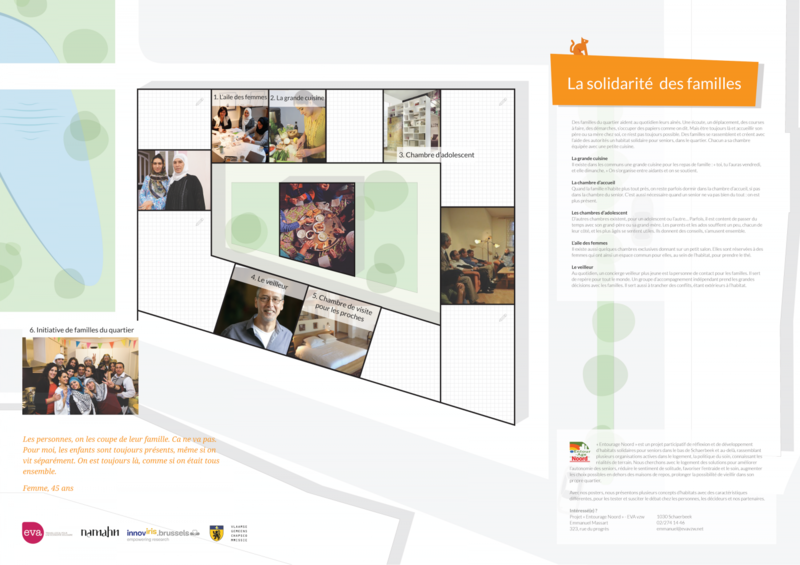 EVA vzw, having already successfully piloted intergenerational and multicultural social housing with its ‘Biloba House’ project, wanted to find better ways of co-living for the Brussels area of lower Schaarbeek, which has a large and diverse migrant community. Namahn and EVA organized a series of co-design workshops with local citizens, organizations working in the neighbourhood and other stakeholders. In the first workshop, ongoing initiatives were mapped to discover what already existed, and could be built upon. 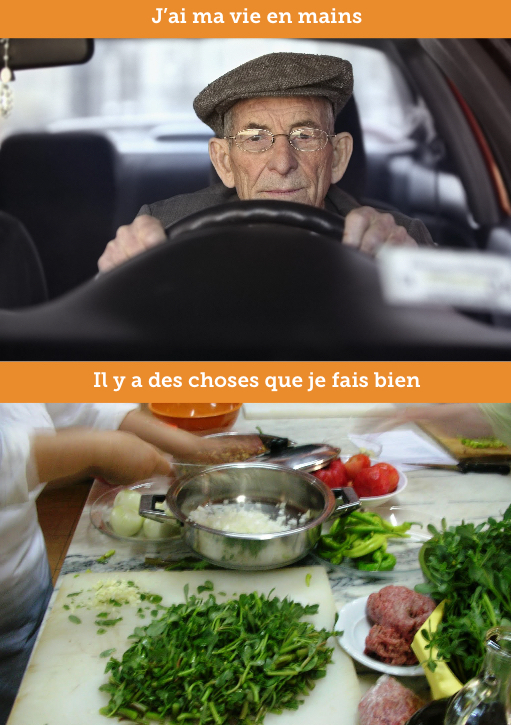 Over thirty interviews were conducted with the elderly to understand their current experience, needs, motivations and dreams concerning where and how they live, using a range of image-rich tools designed to support the conversations. Insights and conclusions from these interviews were distilled into personas and design challenges. 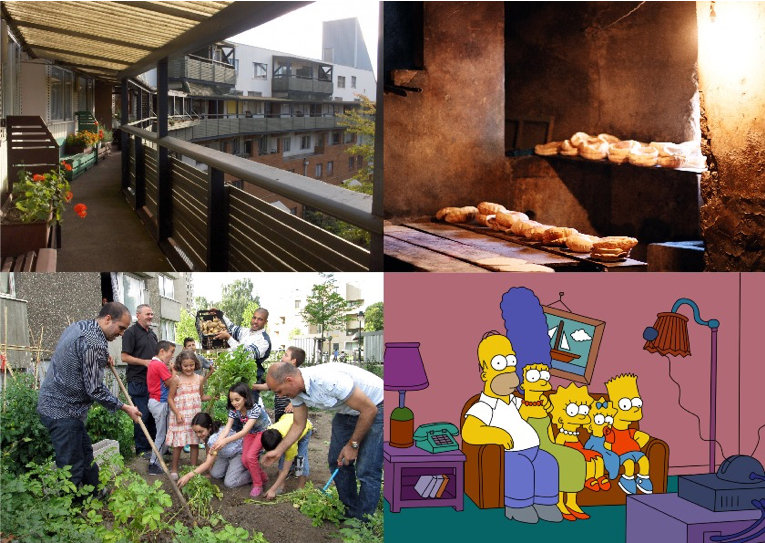 These fed into the next series of workshops, where Namahn, EVA and other stakeholders ideated on different aspects of co-living, and how to integrate them into the neighbourhood. Ideation was supported by a card-based board game, developed to explore the different aspects of the co-living model: what support functions are, or need to be, present? what type of private spaces are required? what kinds of resident need to be considered, and what are their needs? Various concepts were shaped by combining cards on maps of housing blocks. 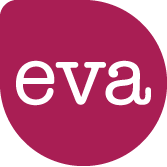 This lead to four co-living concepts, developed to stimulate and underpin a debate with neighbourhood residents, policy makers and EVA’s partner organizations. The concepts provide different solutions to involving families, sharing common spaces and interacting with the neighbourhood, with three operating at the level of individual apartment blocks and a fourth operating at the entire ‘neighbourhood’ level. The success of this approach has since triggered a second project, funded by the European Social Fund, to investigate how home care services in this neighbourhood can be systemically improved.